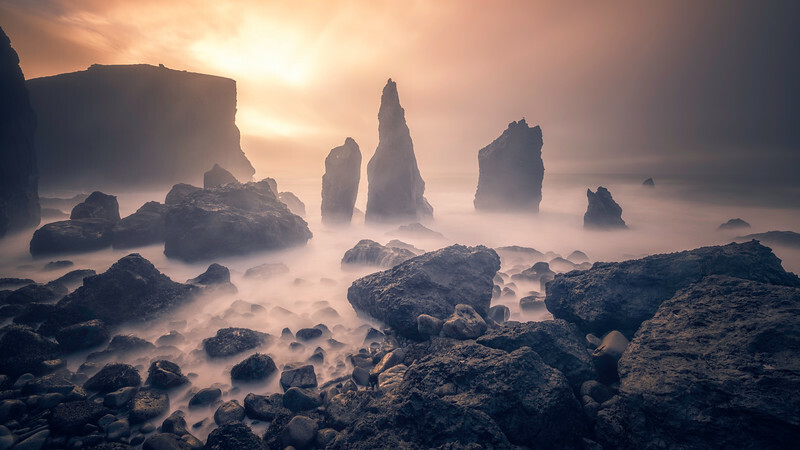 "Almost perfect" is one of my favorite Icelandic photos. It was taken at literally the first beam of light, at the moment, when the sun rays were most parallel to the ground. 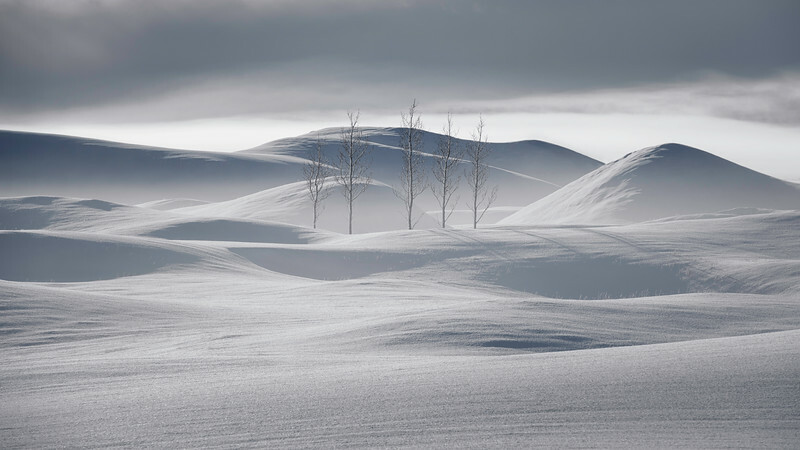 It is always a challenge to photograph minimalistic landscape. One of the questions, that I often face is how do you emphasize the depth perception without the details? 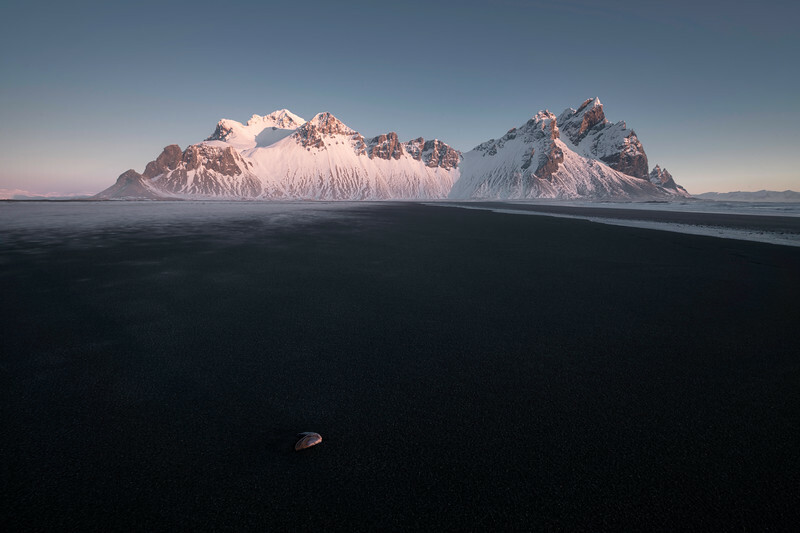 In this case black volcanic sand, textured by first beams of sun, creates a nice depth effect without clattering the composition with unnecessary details. The day after the blizzard. Quiet morning at the Land of Fire and Ice. This is a vertical two raw panorama. It was taken on a quiet morning after an intense snow storm. 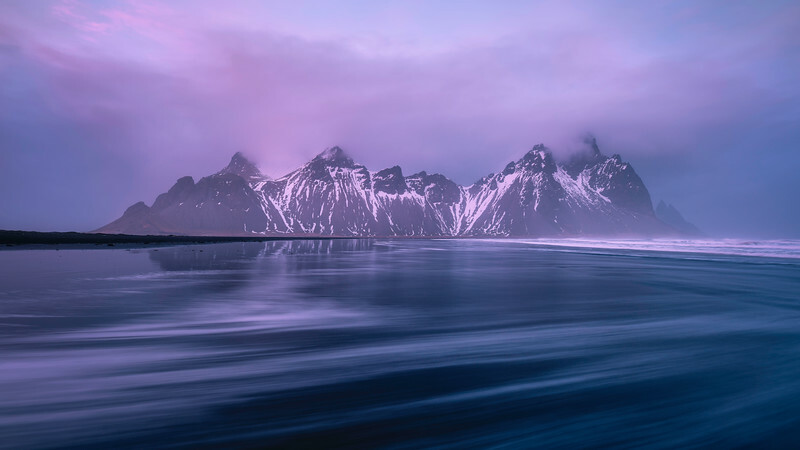 Jokulsarlon lagoon has an infinite opportunities for your creativity. I have seen a lot of amazing pictures from this place. Searching for something different, I stumbled upon this huge chunk of glacier ice. The waves were reaching 6 foot. 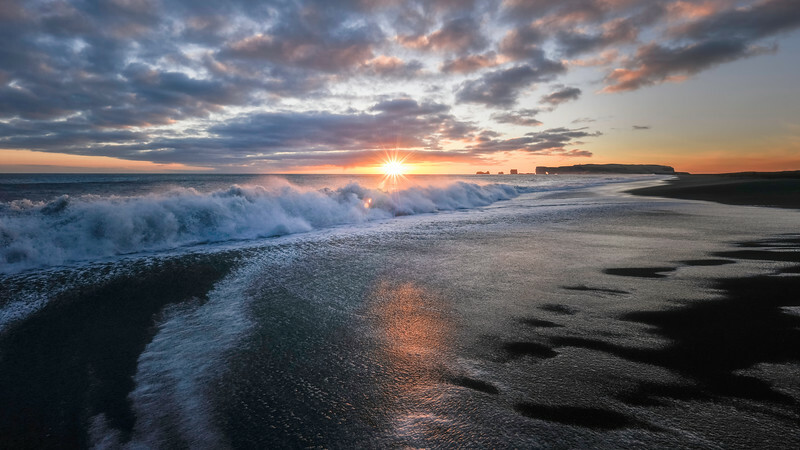 I knew I did not have that much time before the ocean was going to take it away from me. I danced around it for about three minutes, than as the waves started to carry it away, I farewell goodbye to this wild beauty. Never travel to Iceland. It steals your heart. 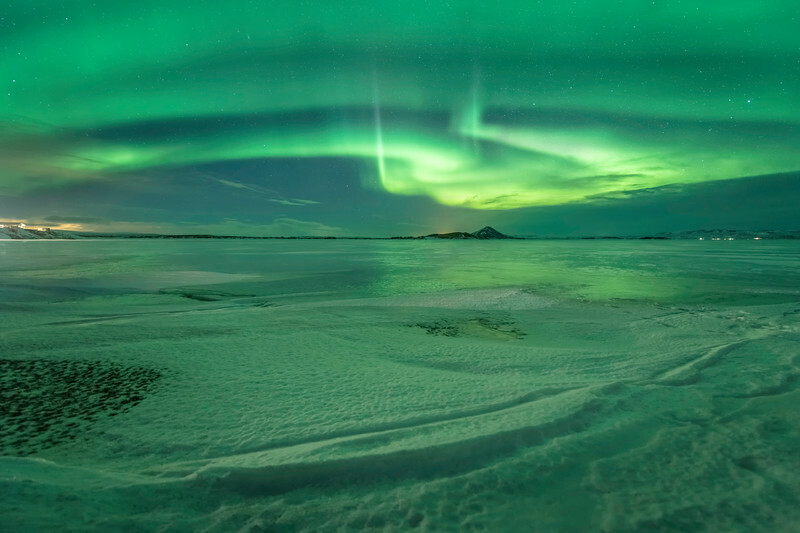 Iceland captures your mind. 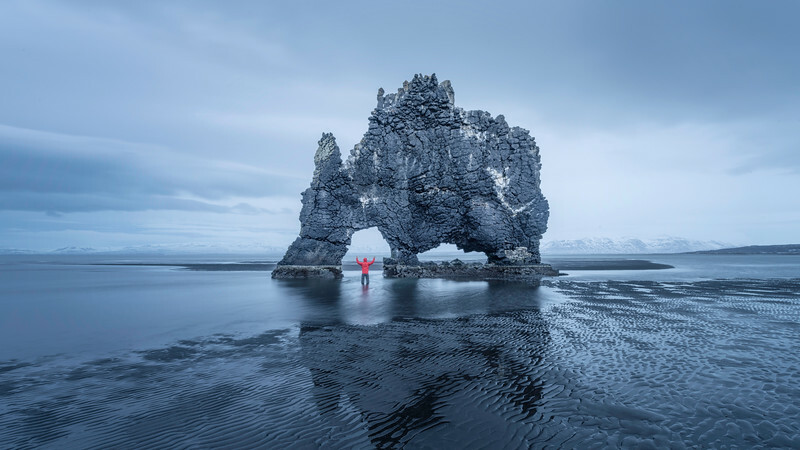 You will never be yourself after visiting Iceland. 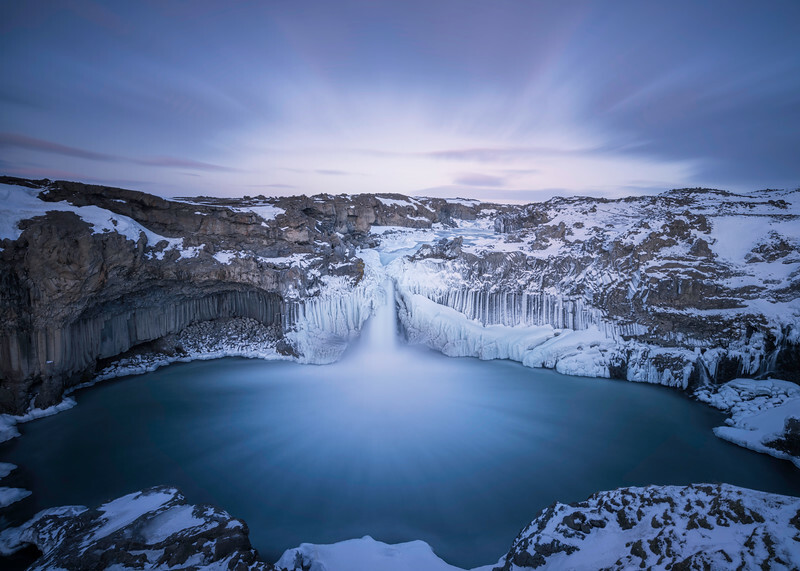 It is a land of crazy storms, sky blue glaciers, endless moss deserts, epic volcanos, enormous waterfalls; it is locked down by a mighty ocean; it is lighted up by Aurora. You will get lost in its beauty forever. A place where time is not ticking. It flows. The roads leading to Aldeyjarfoss were in nowhere even close to driving conditions. They were completely covered with ice and snow during this trip. Geared up with the ice cleats we decided to get there on foot. It took us quite some time to get there. Even though we ended up hicking back during the night time, it absolutely worthed it. 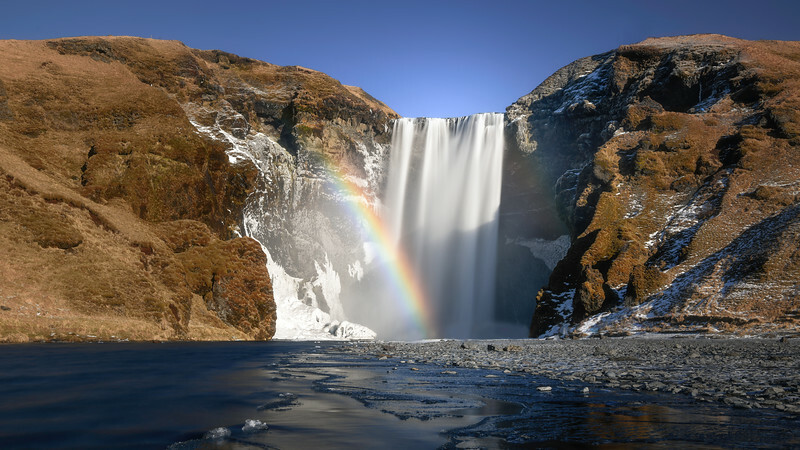 The sky cloud movement reflected the water movement in the waterfall. This 67 sec exposure taken at 15 mm. 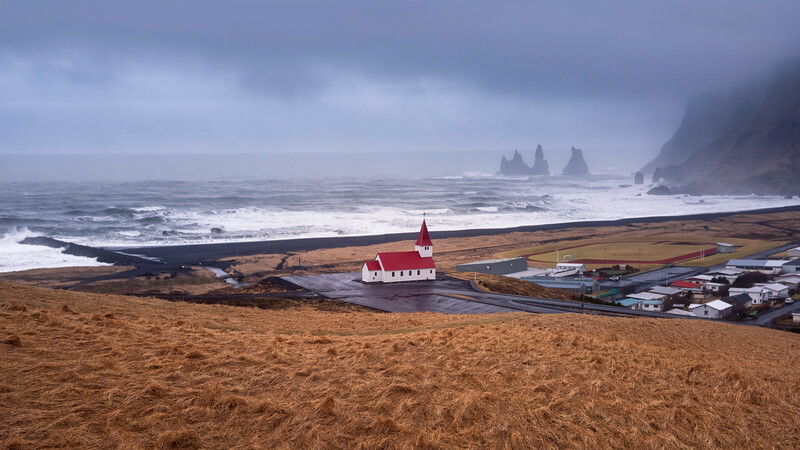 Overcast is a common weather in Iceland. There are still plenty of opportunities for landscape photography though. 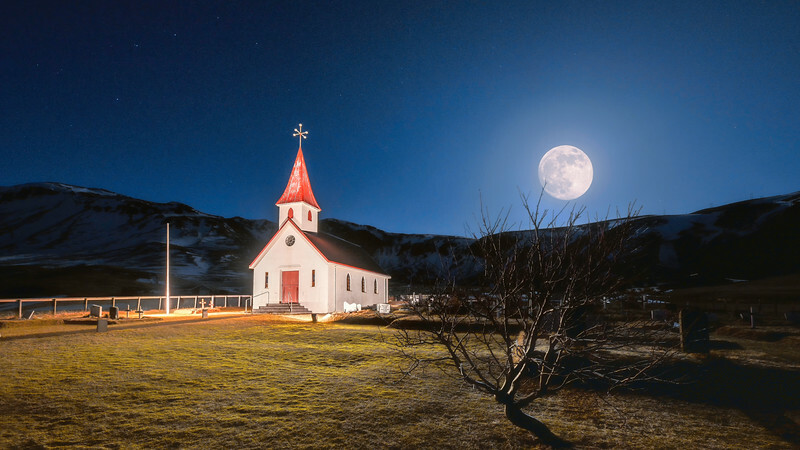 Icelandic churches could be a thing on its own. Every single one of them has a unique Icelandic signature design. They are very well placed. It is a pure joy to photograph them. Worshiping the god of Rhino. Kirkjufell in its dress up hues. It was one of my experimental exposure blends of different ISOs - 100 to 10 000. The ultimate goal was minimum noise with the best light\shadows performance. This blend took some time. I find the results interesting though. 10k ISO ended up being the best for the snow texture, the rest was taken with ISO 100. This is a 15 vertical frames panoramic photo. I took it during a very intense Icelandic winter storm. The wind was blowing at 60 miles per hour. The government decided to close all of the roads, and we have gotten stock in northern part of Iceland. I believe there is no bad weather for landscape photogrhy. In my experience, extreme weather usually results in some unique compositions.